Home / Best Practices, Technology, Industry / Why didn’t we find this problem before we printed the artwork? Inventory write-offs not only cost money but also sets back product launches which means loss in revenue. If you gave an approved artwork to the printer and it was printed correctly, there is hardly anything you can blame the printer for. Sometimes the printer messes up and in almost all these cases they will accept the fault and issue a reprint. But what if the fault is with the brand? Could be a wrong image, wrong barcode or an allergen declaration that’s missing. With all the activity around product launches and the constant need to get to the market faster, sometimes things are overlooked. Especially when the artwork approval process is all manual and each party – brand, studio and print vendors – is working in a silo. ManageArtworks not only provides a checklist tailored to your business but also can drive the workflow based on the checklist. Users can mark Yes, No or Not Applicable for each item in the checklist and comment on it. Artworks can be automatically rejected if any checklist item is marked as a No. Besides the regular checklist, users have access to the Smart Checklist which automatically checks the content based on business rules. These rules could include presence of product name, correct address, mandatory items in the nutrition panel, ingredient statement, validation of the allergen statement, safe handling instructions and many more. Not only is the checklist a ready reckoner for experienced users but also helps in onboarding new employees into the artwork review process with minimal training. 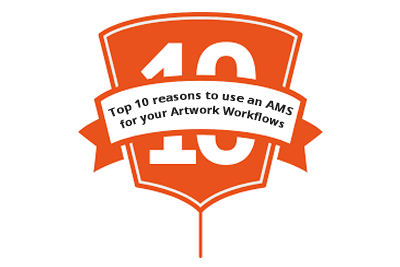 Between the checklists, the proofing tools and the comparison tools, ManageArtworks can significantly reduce, if not eliminate, errors in the artwork.